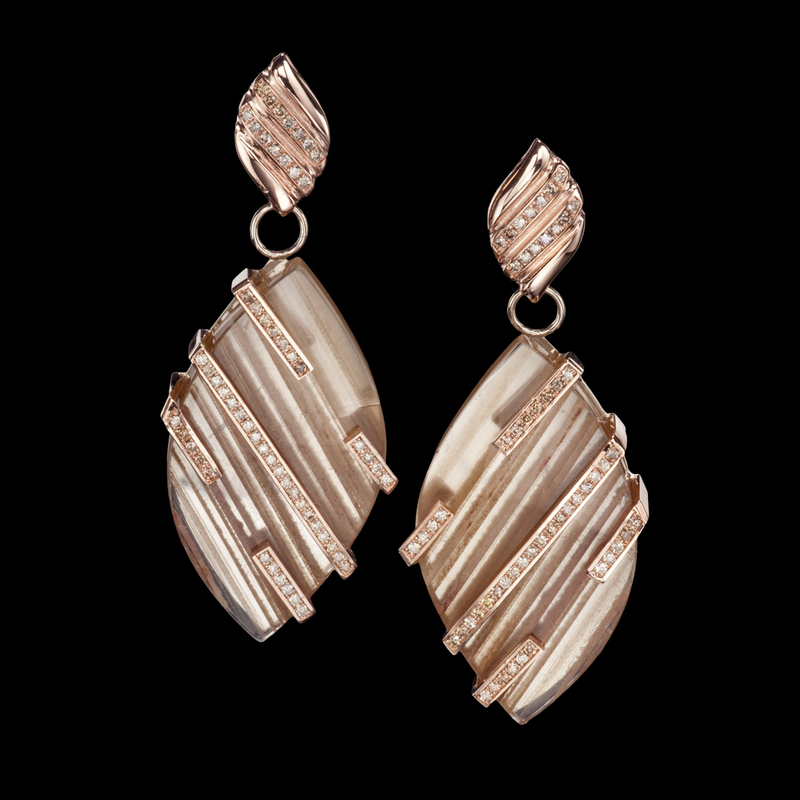 These stunning earrings feature rare quartz set within a rose gold and diamond form inspired by these unique gemstones’ inclusions. This one-of-a-kind piece is in private collection. For questions or custom design featuring quartz, call (949) 715-0953 or use our contact form below. This piece is sold, but we’d love to discuss a related custom project with you. Submit this form and we’ll respond promptly. When quartz encircles and protects minerals and gases, the result can be magical. The ornate, dimensional forms and dazzling colors of included quartz are a window into the past and an inspiration to Adam’s design.